Note: the proper name of this page is Cyber*Forat, but due to technical restrictions it is simplified to CyberForat. 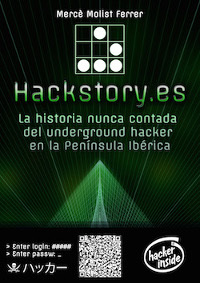 Cyber*Forat (2004-2005) was a hacklab and squatted internet café in Barcelona. It promoted OpenWRT, a GNU/Linux opeating system for routers. It was the site of Plug'n'Politix Connect Congress in 2004. This page was last modified on 27 April 2013, at 11:27.